as a whole. 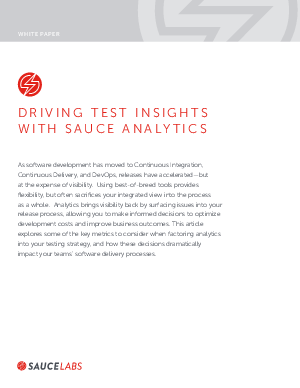 Analytics brings visibility back by surfacing issues into your release process, allowing you to make informed decisions to optimize development costs and improve business outcomes. This article explores some of the key metrics to consider when factoring analytics into your testing strategy, and how these decisions dramatically impact your teams’ software delivery processes.